Praise to God our Father, the redeemer of our lives. The city of Boma was hit by a strong wind storm recently. The storm damaged over a thousand houses in the town. Some of the houses were totally destroyed, and some are now without a roof. 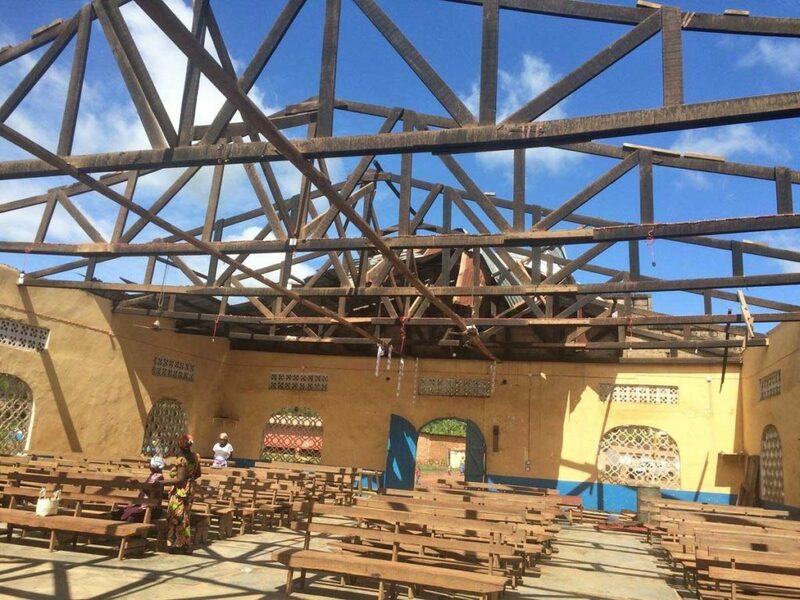 The roof of the Lutheran church sanctuary was destroyed. On the following Sunday, we worshiped under sunshine, in the open air. No one was hurt at the church. But many families were scattered, and others passed away. Please pray for the people of Boma, as they are mourning the loss of their homes and trying to rebuild. Also pray for the Director of the Confessional Lutheran Church, as they are finding ways to rebuild the roof of the sanctuary. They do not have other places where they may worship, in either the case of rain, or of sunshine. For more information, to connect, or partner with the Panzo Family, please visit: https://www.thenalc.org/pastor-didi-panzo.